Now a day’s heart disorder is getting most common ailment compared to the earlier time and it is making a huge contribution in the mortality across the world, earlier it was known as an old age disease, but now it is prevailing in the new generation, specially the younger people are also suffering with the same frequency due to the poor and hectic lifestyle. Cardiovascular or heart disease is not a single ailment infect it is a broad term and related to the series of conditions which is directly or indirectly linked to the heart and cardiovascular health. The heart is a most precious organ that is made of muscles, located in the middle part of the chest and in-between the lungs, circulates the blood all over the body through the blood vessels, provides nutrient and the oxygen and at the same time removes the waste from the body. 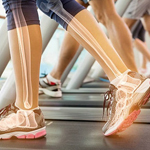 Heart failure, heart disease, stroke, diabetes, kidney disease, even any disorder related any major body organ may affect on the heart function directly and the modern sedentary lifestyle also have an adverse effect on the heart. There are many ways to improve the heart health including exercise, but is it possible to achieve the benefits without exercise or cardio? Yes, it is, according to the recent studies turmeric is richly loaded with heart healthy bio-active components specially curcumin, which is good for the heart and the proper endothelial function. Curcumin works in numerous ways suppress chronic inflammation, controls the blood lipid profile and normalize the blood glucose level. Curcumin may lessen the risk of heart attack, stroke, heart failure, even complication associated with diabetes, which is indirectly linked to many heart related ailments. » Turmeric has long been known for its anti-oxidant and anti-inflammatory action and it has clinically approved uses in countless ailments, including cancer, then why we should leave our heart, we can use “curcumin” a bio-active component of turmeric for the cardiovascular health and prevention as well. » Diferuloylmethane or curcumin is responsible for the yellow color of turmeric; it is polyphenols, a natural anti-oxidant. Traditionally Curcumin has been used for many diseases. Scientific research or modern science is always exploring the latest ingredient for the benefit of human and to save the lives. It is clinically proven that turmeric has significant cardiovascular protective nature along with anti-inflammatory and anti-oxidant property. » Curcumin with its anti-oxidant property slows down the cardio toxicity and may prevent the diabetes related cardiovascular problems. » The anti-thrombotic, anti-proliferative, and anti-inflammatory effects of curcumin may prevent both ventricular and the atrial arrhythmias. » Curcumin a polyphenols act on multiple modes and that make it unique since it works in a multi-targeted way that is capable to reduce cardiovascular complications. » Metabolic syndrome causes disturbance in the imbalance in the lipid profile, including reduction in the good cholesterol and elevation in the bad cholesterol and the triglycerides since lipid profile disturbance is the major cause heart attack, stroke and the atherosclerosis, supplementing with curcumin may highly beneficial for balancing the lipid profile. » In a clinical study of 2014 it is found that regular consumption of curcumin supplement formulation decreases the blood cholesterol level, triglycerides and the bad cholesterol and remarkably increases the good cholesterol at the same moment, even curcumin works better than statin drugs. » Curcumin may also scavenge the free radicals and in this way reduces the inflammatory damage to the lipids, narrowing of the arteries and the plaque formation that may hamper the blood circulation. So the current study shows that curcumin may reduce the clogging of arteries and the atherosclerosis, a key risk factor for heart attacks and strokes. » Curcumin a polyphenols in the turmeric helps to repair blood vessels and the entire circulatory system, and it is powerful vasodilators that dilates and relax the blood vessels, making circulation more easy and easing the pressure of the blood thus also regulate the blood pressure and reducing the heart attack risk additionally. » Curcuminoids and the curcumin all have strong antioxidant property equal to vitamin E and C and the research shows this property also protects against any kind of drug induce carditoxicity, obesity induced toxicity and other diabetes related health issues because diabetes is one of the major causes of cardiac disease. » Curcumin is cardio protector even it can prevent heart attack and helps in heart repair and improves the heart muscles of the cardiac patients. » Curcumin prevents thrombosis also know as clot formation that can impose serious health condition from various researches and studies its anti-thrombotic action is well proven and it is as efficacious as aspirin a famous anti-coagulant and it is more safe and effective natural ingredient for thrombosis. 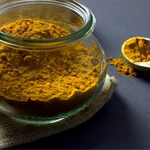 » Curcumin and polyphenols have been known for its vasorelaxant action, that helps in better blood flow and relaxation of the blood vessels, thus helps to reduce the blood pressure. So it would be the dream come true to find such ingredient or compound that can protect blood vessels, lower cholesterol and prevent heart disease and other major complications. Turmeric is such compound that has all the qualities to prevent any cardiovascular disease. 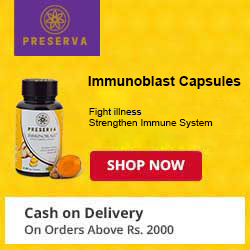 It inhibits blood clot formation and slows down plaque buildup in the arteries, prevents platelets clumping hence improve circulation and prevent atherosclerosis and improves blood flow to all over the body. Atherosclerosis is a condition in which elevated levels of fats and the cholesterol narrow down the blood vessels by buildup plaque, that may affect blood pressure and the blood flow. Lifestyle management and the diet modification are the first step to prevent heart disease in the healthy people if someone is already suffering from any heart ailments than medication is provided to improve heart health along with the diet and exercise too. But severe cardiovascular disease may require surgeries which may be very risky for the life and also may impose heavy burden on finance. Hence, for the better heart health, including turmeric along with the other health measures would be an added advantage, since curcumin (turmeric) protects the cardiac health and reduces the severity of various heart related condition such as arrhythmia, congenital heart disease, hypertrophy, ischemic heart disease, myocarditis, atherosclerosis, cardiac fibrosis or any kind of carditoxicity. It anti-inflammatory, antioxidant actions strongly play a key role in all these conditions associated with the circulatory system.